I suppose it had to happen sooner or later. I finally started listening to music when I run, on most runs anyway. For years I said I wouldn’t, but sometime this past fall or winter, I started. And what started with listening one or two runs a weeks, turned into music almost every time I laced up. My normal path, the “Farm Road” it’s called, doesn’t have much traffic. And sometimes I run on the track. Or if I’m traveling, I usually find a running trail or something. So it’s usually safe to listen and run at the same time. 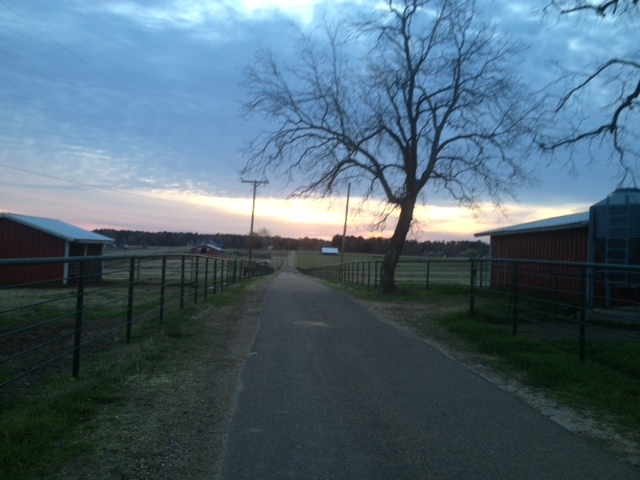 The Farm Road, my normal running place, can be very peaceful early in the morning. Plus, running in Arkansas, sometimes you need something to keep you distracted, especially during the heat of the summer. How hot is it? Well, imagine running in hell. Now, imagine being in the basement of hell. That’s how hot it is. Ok, I’m exaggerating, but not much. It’s actually a little hotter than that. I even developed a “Running Playlist.” that I listen to a lot when I run. But that music gets old after a while. So sometimes, I just have my IPod on a general shuffle, but even then I usually end up listening to the more upbeat music. And I usually lose my balance a bit as I take my eyes off the road trying to skip songs, and see which songs are coming up next. But that all changed with my Anything-Goes Sundays. On Sundays, I usually run a longer distance, and it’s usually a little easier pace. 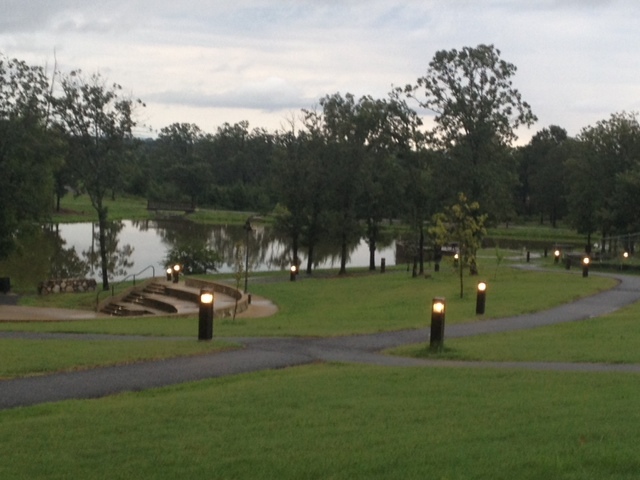 The running trail in Mena, Arkansas, provides a nice view with a challenging figure-8 layout. So instead of all fast-paced music, on Sunday, it doesn’t matter – and that led to my Anything-Goes Sundays,” a day I can listen to whatever song comes on. It can range from Van Halen to Coldplay to jazz by Pat Metheny or Spyro Gyra. It’s usually a really nice run. A relaxing run. “Content” might be a good word to describe it. Here’s what a typical playlist from a Sunday morning run looks like. Rolling Stones, “It’s Only Rock and Roll” – The Farm Road starts a little up hill so it’s nice to start the run with something a little upbeat. Bruce Springsteen, “Born to Run” – Are you kidding me. This song was made for running. Again, something upbeat is helpful on a summer morning that’s this hot. People sometimes ask me why I run. In other words, was I “born to run.” No, not any more than anyone else. Running, like any exercise, is just a matter of deciding that you’re going to do it. And then, as Nike says, just doing it. Frank Zappa, “Valley Girl” – Ok, sometimes I do skip over a song on my non-skip Sunday morning. Sade, “Paradise” – No, Sade still hasn’t agreed to sing at my birthday party, so I’ll have to do the next best thing and take her running with me. 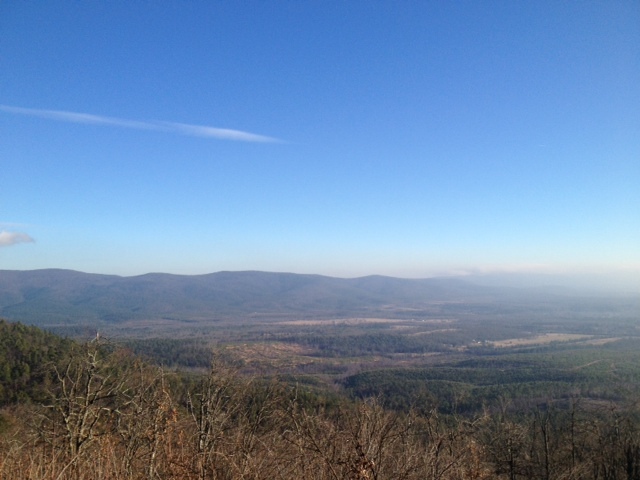 Another of my favorite places to run is in the mountains. Paolo, “Paisa” – a little smooth jazz on a leisurely run, very nice. Beastie Boys, “Fight for Your Right” – Oh, wait! I don’t actually have this song on my IPod. Or do I . . . Led Zeppelin, “Misty Mountain Hop” – Robert Plant helps keep me motivated as I make my way around the duck pond on my run. Trio, “Da Da Da” – Ok, this is another song that I might or might not have one my IPod. But if I did, it wouldn’t be my favorite song to listen to while I run, but I still might listen to it on a Sunday morning. I mean, if I actually had the song . . .
Big Country “In a Big Country” – I have this song on my running playlist, and it’s always a fun one to listen to. And it takes me to – finally – the water fountain. I’m drenched in sweat and in bad need of a drink. Counting Crows, “A Long December” – a nice, mellow song to keep me moving along. So would I recommend listening to music while you run or exercise? It’s totally up to you. It can be a lot of fun, just be safe with it. The main thing is to find something you enjoy doing, and do it – some type of exercise, not matter what it is. I see my finish line coming up for this morning’s run. Finally, I can hardly wait to get home and cool down. One last song to get me to the end . . .
Bee Gees, “You Should Be Dancing” Well, I might have skipped over this song, too. Or did I . . .
← Are You John Smith or Kocoum?